The findings of Chris Cornell’s toxicology report, which was released Friday, show the singer had taken a variety of prescription drugs before his death. TMZ reports the autopsy discovered Cornell had Naloxone (Narcan), Butalbital (sedative), four Lorazepam pills (Ativan), Pseudoephedrine (decongestant) and barbiturates in his system. Cornell was found dead in a Detroit hotel room early on the morning of May 18 with an exercise band around his neck. 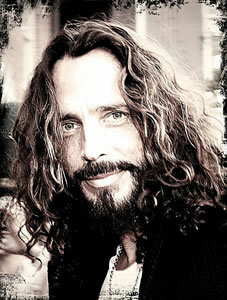 The cause of death was ruled a suicide, but Cornell’s family has maintained he was not in his right mind before his death. Cornell’s widow Vicky issued a statement after details of the toxicology report went public.